Trees are already objects of interest to our pets as a part of their nature. Then we go and cover this tree with all sorts of cool shiny things that just seems to make the tree absolutely irresistible. We might as well just send them an invitation to attack. When I was a kid my mom would wire the tree to the drapery rod so that any attempts to climb the tree would not knock it over. 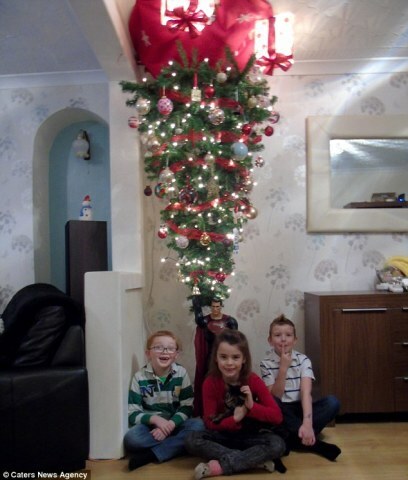 Then the bottom branches would only be decorated with the unbreakable ornaments. Since these were often not as shiny, that helped keep the interest down. It worked for us and our twin kitty girls. 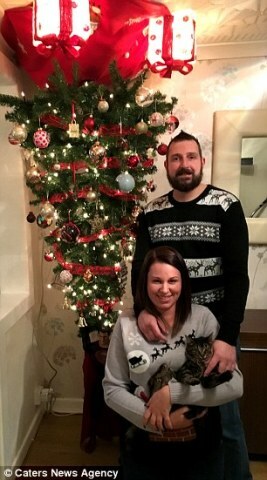 Natasha Smith and her partner, Wayne Rudy, realized that they needed to have a plan of their own when they realized that their crazy new kitten, Storm (named for an X-men character) had all the makings of a Christmas tree ninja. 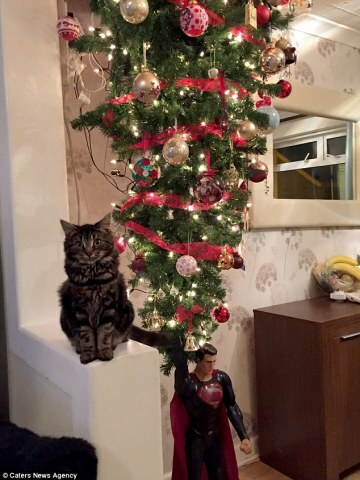 So after some thought Smith decided that they would hang the tree upside down from the ceiling to put it out of paw's reach. They aren't disclosing just how they did it so that people will just have to keep guessing. 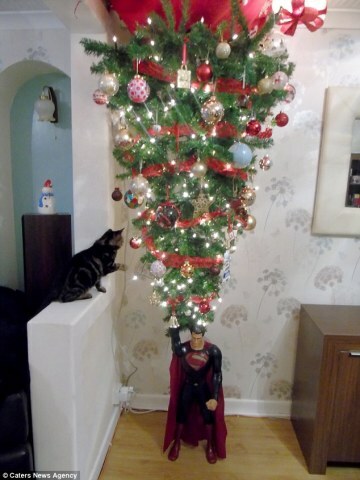 As an added bit of Christmas whimsy they put a Superman action figure beneath the tree to make it look like he is the one holding up the tree. Setting up the tree was a family activity and it took them a day. While their decorating is unusual and unique, it hasn't totally kept Storm from trying to play with the tree. It just made it a little more difficult to reach. She is their first pet, so there is still a learning curve going on in living with her. Hang on everyone! It's going to be a bumpy ride! This is One Nice Cat -- The Sweet Animal Video of the Day!! !